If you are having some issues with your teeth, dental implants may be your best solution. 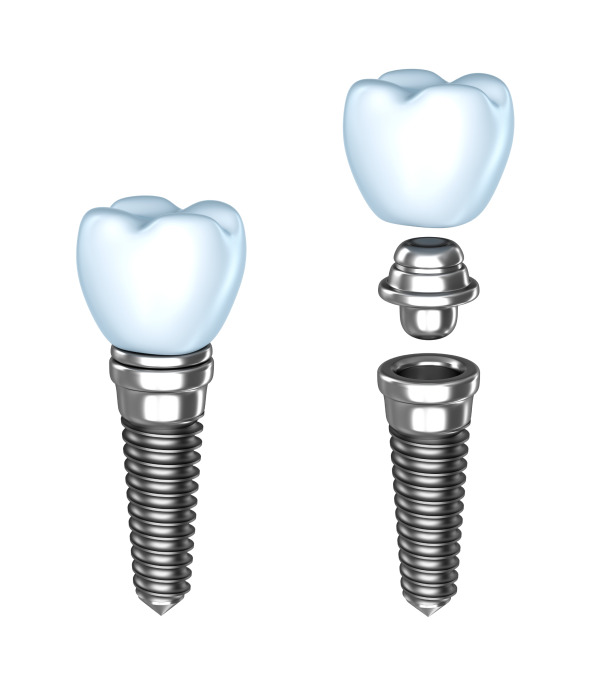 Dental implants are artificial roots and teeth that are placed into the upper or lower jawbone surgically. They are very strong and durable and can last a lifetime. Dental implants can also improve the fit and feel of full dentures and will minimize further bone loss. When you come in to our Gilbert office for dental implants, you will first have a full mouth exam, which includes a cleaning and X-rays. Molds will then be taken of your jaw and teeth to determine bone, gum tissue, and the spacing available. The implant will then be allowed to heal and integrate itself onto the bone for around six months. After the healing period, the artificial teeth will be securely attached to the implant. We will also provide free custom staining and shade matching. 3i implants are popular because they contain an innovative bone-bonding component. This enables the implant to be placed in areas with low bone density, which can eliminate having to wear poorly fitting dentures. Unless a different sedation is preferred, the procedure will be performed under a local anesthetic. 3i dental implants generally enhance the healing process, so the second treatment can be completed about 10 to 12 weeks later. In addition to supplying you with implants, Red Canyon Dentistry can restore your existing implants. We restore all major brands, including 3i, Nobel Biocare and Straumann. At Red Canyon Dentistry, we've been helping the Gilbert community enhance the beauty of their smiles for 10 years. If you think dental implants will help you, don't hesitate to get in touch with us.